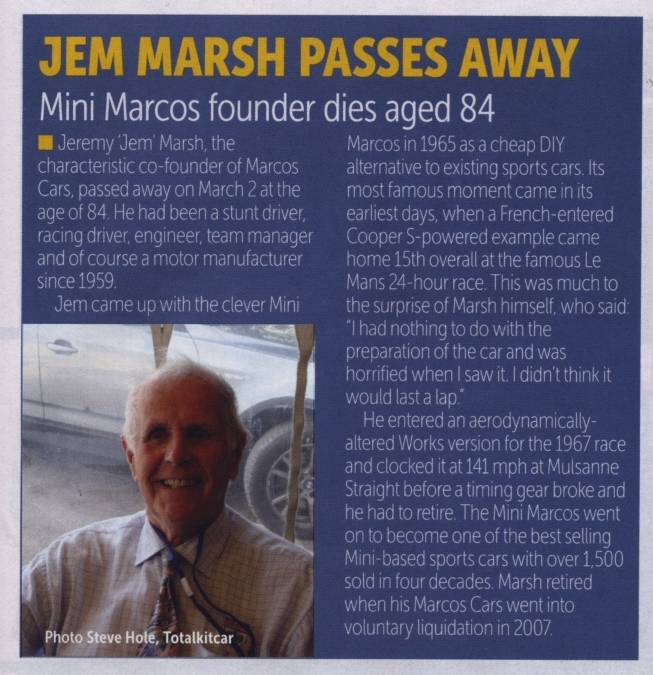 Please note that Jem was the founder of Marcos Cars, not the co-founder. 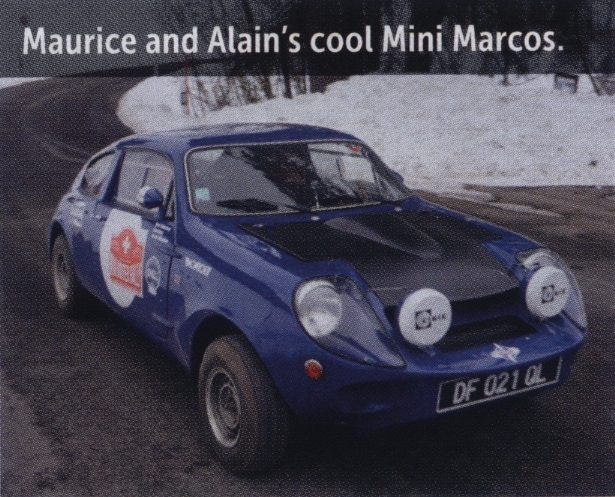 A Mini Marcos taking part in the 12th Mini Winter Rally organised by Mini Club Romande. We think the car is this one.